If you were stuck on a desert island and could only take one app with you, which app would you take? Yeah, probably some sort of "come and rescue me" app. 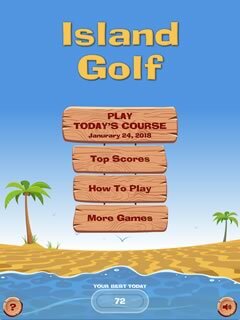 But while you waited for help to arrive, you could use an app like Island Golf to help pass the time! 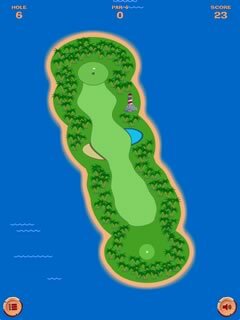 Island Golf is a simple, easy-to-play arcade game where you play a quick round of golf with fairways on little lonely islands. There's no complex system of club types, swing meters or wind direction here. You just tap, drag, and release to take a shot. Every day a new course appears. 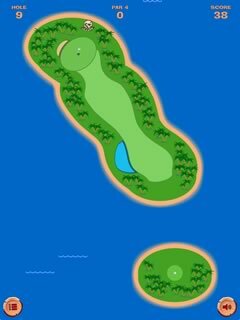 See if you can beat par on each hole, and how low you can score through all 18. If you do well, you may even make the high score board for that day. If not, there's always tomorrow.